Where is your base & how long have you been in this industry? Our base is in Dongguan, China. We have dedicated to manufacturing medical electronic measurement products since 1996. Why do you think your products or service can compare to other competitors in this market? To be a manufacture, we have more opportunities to know how to work out our best strength and capabilities in this field. Marketing demands however for superior quality or less cost has been always put into our concern as a priority. What kind of the certificates you have for your products? Do you also accept OEM orders other than your FDK brand products? Yes, we do~! If you are looking for any reliable manufacture to work out your new project, we are the one you can trust and we can take care of your project from zero to more than what you anticipate. What could be possible to obtain consistently inaccurate from your BP Monitors? It is strongly recommended to sit down and keep the wrist cuff at the same height as your heart position during taking each time's measurement. It is strongly recommended not to talk, eat, move or laugh during measurement. It's better to keep calm down at least 3 ~ 5 minutes before taking the blood pressure reading. Please replace new batteries and try again; 2 AAA batteries for wrist cuff BP monitor or 3 AA batteries for arm cuff BP monitor can easily purchase from all grocery stores. It is strongly recommended not to take the measurement continually without taking a break. It might cause nerve tension during each time's measurement. In a case, we suggest to have a few minutes break before you re-take your blood pressure reading. It is strongly recommended to take the reading with the same device consistently. The tolerance of the accuracy of FDK units is +/- 5 mmHg. But, this doesn't mean that all other branded units come up with the same setting by different manufacturers. And it is why it is important to make sure the reading being taken is from the same device consistently no matter which branded BPM being selected to use. 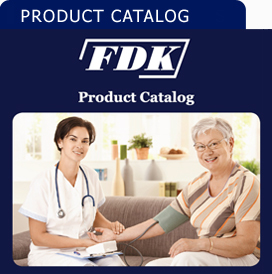 What are the best ways to obtain the accurate measuring results from FDK BP monitor units? (1)	Consistently use the same unit to take the measurement. (2)	Consistently take the measurement at the same time. For example, if you used to take the measurement in the morning. Please keep on checking up the blood pressure every morning. Don't just try to compare the result which measured yesterday morning to the one which may be measured this afternoon or tonight. How to change KPa to mmHg measurement unit as a default setting which has been shown on the display screen? Step one: Turn the BP Monitor off. Step two: Press 'ON/OFF' button by or around on 8 ~ 10 seconds until 'KPa' icon automatically changed to 'mmHg' measurement unit and immediately release the button. Step two: Press 'POWER' button by or around on 15 seconds until '0.0' icon is blinking and release the button. Step three: Press memory 'M' button on wrist cuff BPM or 'P1'/'P2' button on arm cuff BPM to switch 'KPa' to 'mmHg' measurement unit and immediately release the button. Step two: Press 'ON/OFF' button by or around on 15 seconds until '0.0' icon is blinking and release the button. Step three: Press memory 'P1'/'P2' button to switch 'KPa' to 'mmHg' measurement unit and immediately release the button. How to set up audio option from the BP monitor device? Step two: Press 'Memory' blue button and 'ON/OFF' yellow button at the same time by 5 seconds until 'YEAR' icon is blinking and release both buttons. Step three: Keep going to press on 'ON/OFF' yellow button at five times until 'SP OF', 'SP ES' OR 'SP US' icon blinking and release the yellow button. 'SP OF' : This means speaker off. 'SP ES' : This means Spanish option available. 'SP US' : This means English option available. How can I continually take accurate basal temperature with FDK Basal Type Thermometer Model No. BT-A41CN when I try to re-take the measurement other than first time reading being taken? Make sure to wait till 'LO' symbol is coming up when you re-activate the thermometer from last measurement if you would like to continually take temperature reading more than once. Please don't start to take the measurement immediately if you only hear 'Please measure' but don't see 'LO' symbol comes up. By doing so is to make sure that the original temperature being taken is cool down to normal temperature. If not, the temperature will be directly add or minus the degree from last reading and it will cause the reading inaccurate. Why do I obtain different readings every time when I took my basal temperature from FDK Basal Thermometer Model No. BT-A41CN, but it stays the same with other brand thermometer? Human body's temperature is possibly changed any time by taking the temperature at different position. For example, we recommend consumer to take his/her temperature with this thermometer by oral. Place the probe tip under the tongue as near as possible to the heatpocket. If this instruction was not to be followed, it is hard to take an accurate temperature. For other brand's thermometer, they may have different recommendation to take temperature from different position. So, this is very hard to get exact the same temperature by different brands thermometer products. How can I switch 'Voice to 'No Voice' function? How can I switch 'Spanish' to 'English' function? How can I switch 'Celsius' degree to 'Fahrenheit' degree? How to switch the audio option from ON or OFF? (2) Press the SCAN button for 5 seconds until ON or OFF is displayed on the screen and release the SCAN button. (3) Pressing the SCAN button again, this will allow you to prompt the audio option in either ON or OFF mode. (2) Click on 'Scan' button to stay around 20 seconds and you will see 'F' or 'C' icon on the upper right side of your thermometer screen and then release. (3) Click on 'Scan' button again to change it either from 'F' to 'C' icon or 'C' to 'F' icon to obtain Fahrenheit or Celsius degree. How to switch audio option from “English” to “Spanish” ? (2) Press the SCAN button for 10 seconds until any number from 01 through 06 displays on the screen and release the button. (3) Press the SCAN button and release immediately to switch languages between English and Spanish. How to access the 12 memory recall? (2) Press and release the SCAN button and then you will see 3 dashes and a flashing M. To view the most recent stored result. (3) Press and release the SCAN button. The number 1 will display briefly, followed by the most recent result. Pressing SCAN again shows 2 briefly, then the 2nd most recent stored result. (4) Continue pressing the SCAN button to scroll through the rest of the stored results. How to delete all 12 memories? (2) Press and release the SCAN button immediately. (3) Press the SCAN button again to display the latest reading entered into the memory bank. (4) Press the POWER button for 3 seconds until the LCD displays 3 dashes and release the button, the all 12-Memory entries are deleted completely. How to switch Ear to Forehead mode? (2) Press the Power button for about 5 seconds and you will see 3 dashes on the screen and release the Power button. (3) Click on the SCAN button to prompt to Ear or Forehead mode for choice. Do you have minimum orders requirement? Our minimum order requirement is $50.00 per order. Any order below this minimum will be assessed a $5.00 service charge. What kind of the payment form you accept? All the payment is asked before shipment. Payment forms are flexible and accepted by: (1)	CASHIER'S CHECK, (2) MONEY ORDER OR (3) CREDIT CARD. ***If you paid by business check, please allow 7~10 days to process your complete order. Any returned check will be charged $35.00 by Fudakang Industrial LLC. A Return of Merchandise Authorization (RMA) number is required for all returned merchandise. Please call Fudakang's Customer Service Department to obtain your RMA number. All return shipments must be shipped prepaid and clearly marked with the RMA number issued by Fudakang. Upon receipt of an authorized return, a credit will be issued (monetary refunds will not be given). Returned goods must be in resalable condition, and may not be older than 90 days. Freight collect returns will not be accepted. Damaged merchandise or items requiring repackaging will be billed at full repair cost. In addition, Fudakang reserves the right to refuse such shipments. 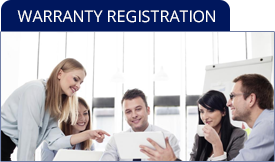 Fudakang's Customer Service department reserves the right to make the final determination as to whether the specific warranty is applicable to the returned item. Fudakang retains the right to use its discretion as to whether the product under warranty will be repaired or replaced. Different products are coming with different warranty policy. You can conveniently find this information on the last page of our instruction manual of each product. If I got any question about your product, whom I am supposed to contact? Please use our customer care line 609.587.1237 to ask any question you have. Our friendly customer service agent will be more than happy to answer any question you may have~! Where can I find the instruction manual once I got lost my original one? Please call customer care line 609.587.1237 to tell our customer representative about your needs and then we will send a new one to you for your record.